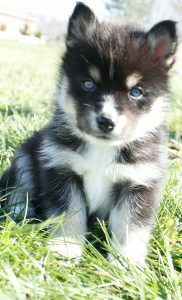 Mountain Shadow pups are micro chipped, dewormed, socialized and have recieved all of their first shots. In addition, Mountain Shadow Pomskies offers a 3 year guarantee and allpups have their origin verified through the University of California Davis. Available litters will be posted here on the Mountain Shadow Pomskies Website. 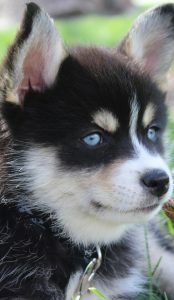 If you want a thorough breeder with experience and knowledge that really cares about the health of the pomsky breed, you’ve come to the right place. Managed by husband and wife Chree and Steve Martin, Chree began breeding dogs in 1991 and has never stopped striving to improve the health and long term stability of the breeds she works with. As previous law enforcement officers and EMTs with a degree in DNA science, Chree and Steve now use their background and expertise to focus their full time efforts on researching and producing the best breed of pomsky. Mountain Shadow Pomskies not only has the experience and education to back up their perfect pomskies, but they go above and beyond to ensure you receive the best of the best pomskies as each Mountain Shadow pomsky is verified through the University of California Davis, micro chipped, dewormed, vaccinated with the first set of shots, socialized and offered with a 3 year guarantee. 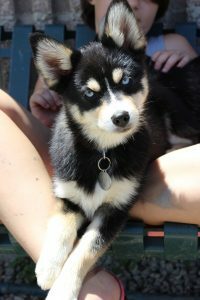 If you have any questions at all about the pomsky breed, pomsky genetics or general dog care questions Mountain Shadow Pomskies will have the answer. According to Chree, “breeders will be willing to answer all questions. 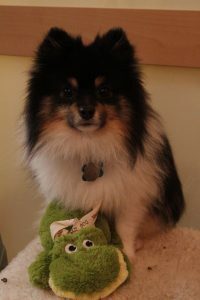 A good breeder wants them [the pomsky] to have a good life and is here to make the breed better.” Chree and Mountain Shadow Pomskies really stand behind what they say as they gladly answer any pomsky related questions. Mountain Shadow has a true admiration for an incredible breed along with the experience, education and drive to help us perfect the pomsky breed. Mountain Shadow Pomskies is an approved member ofPomsky Owners Association and an accredited member of the International Pomsky Association.As a member of theInternational Pomsky Association, Mountain Shadow Pomskies is required to abide by a strict code of ethics to ensure the long term health of the pomsky breed. 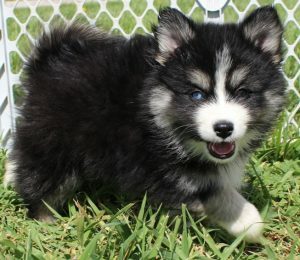 My boyfriend and I were looking for our first puppy together and decided we wanted to get a Pomsky. 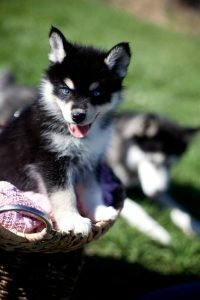 After looking at several breeders, we decided on one from Mountain Shadow Pomskies even though we were living in Illinois and they were located in Utah. The owner, Chree, did a wonderful job in answering all our questions and making sure everything was taken care of before our puppies arrival. We are VERY happy with our puppy and tell people about Mountain Shadow Pomskies when they ask where we found this adorable pomsky! Meet Tundra, Mountain Shadow’sfour year old Dam. She is spunky and full of personality. 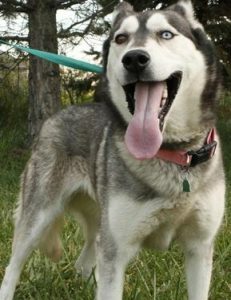 She is very intelligent and has the husky energy for sure. Her blue eyes are amazing. 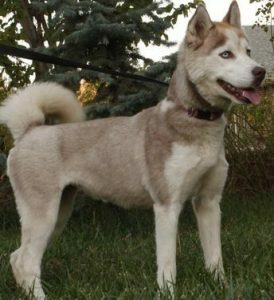 She is a chocolate colored husky. MeetMia. She is four and half and she is definitelythe leader of the pack. She has two different eye colors and is as sweet as she can be. She has a closed face mask and husky attitude. She is smart an loves to be on her comfort bed. 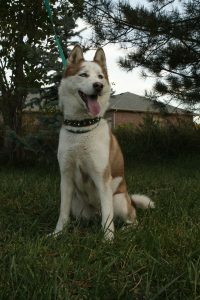 She is a black and white Husky..
Meet Kia, a Mountain Shadow Dam. Kia is the youngest of the brunch. She is 2 and she is a talker for sure. 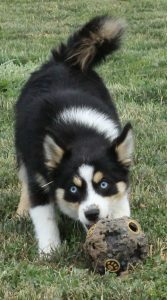 She loves to run and play with Tia and she will melt your heart with her blue eyes. She loves children and all other dogs. She is calm around people and she just wants to be loved. 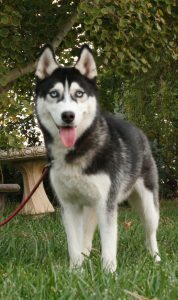 She is a black and white Husky. Meet Tia, Mountain Shadow’s 2 and a half year old dam. She is calm and loves to play with Kia. 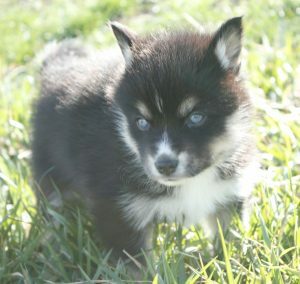 She is a chocolate Husky with ice blue eyes. She is on the small side but don’t tell her that. She loves dogs and children. She also loves her food:) She is an amazing part of our pomsky program. This is Gracie Lula. 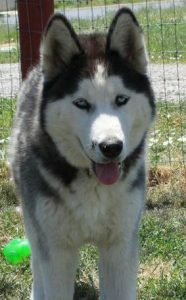 She is Mountain Shadow’snewest Husky. She is almost a year old and is the baby of the pack. She has beautiful blue eyes accented with black lines. She loves to play with the pack. She loves the outdoors and runs all day long. In 2017 she will be paired with Dexter to have some amazing off spring. Meet Cocopuff. He is 4 years old and a ball of fire. He loves to play in the snow and loves kids. 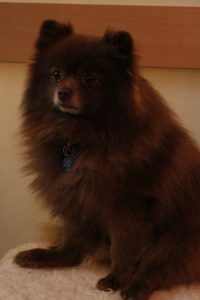 He is 6 pounds and is a chocolate Pomeranian. AKC and CKC registered. MeetDexter. He is a beautiful Pomeranian for sure. He is excited, loving, and full of energy. He loves animals and his ladies.He is CKC and AKC registered. He weights 4 pounds. He is small but don’t tell him that. MeetTimber. 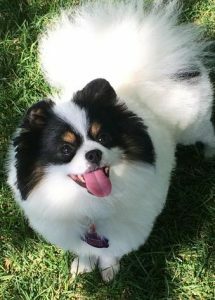 He is 6 pounds and a tri color Pomeranian. He is shy until he warms up to you and then he will never leave you alone. He does tricks and is one smart boy. He is 2 years old. AKC and CKC registered.